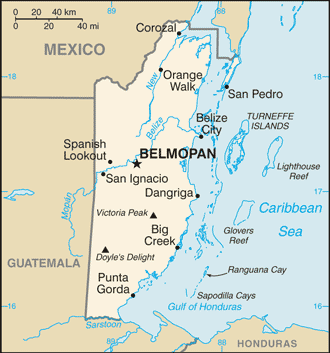 In mid August, Belize health officials reported investigating at least 10 cases of ciguatera food poisoning. The investigation into these cases has linked and identified that the fish consumed was barracuda bought from a fish vendor in Ladyville, Belize District. The fish was from the Turneffe Islands area. Last week, health officials reported two additional cases in a second alert. More than 400 species of fish, including barracuda, black grouper, blackfin snapper, cubera snapper, dog snapper, greater amberjack, hogfish, horse-eye jack, king mackerel, and yellowfin grouper have been implicated in this food borne illness that’s relatively common in several areas of the world. This toxin is the result of the accumulation of marine algae and the toxins they produce passing up the food chain. These marine algae hang on to dead coral and seaweed. They are then eaten by herbivore fish which are subsequently eaten by predatory reef fish which concentrates the toxin in its tissue. People get this food borne toxin from eating these contaminated larger fish. The reef fishes are more likely to get contaminated during storms and other turbulence. After eating the affected fish (the fish does not get sick from the toxin and actually tastes good) in as little as a couple of hours symptoms may appear. Gastrointestinal symptoms like diarrhea, nausea and vomiting tend to appear early. Then a feeling of weakness and hypertension may occur in addition to complaints of intense itching. Some mild to severe neurological symptoms are common with ciguatera; dizziness, impaired coordination, blurred vision and even coma may be seen in severe cases. An unusual characteristic that is common in ciguatera is temperature reversal. This may be seen from 2 to 5 days after eating the fish. Hot objects seem cold and cold objects can give a shock-like sensation. There have been serious injuries because a person was unable to recognize extremely hot sensations. Other odd symptoms are food may taste metallic and teeth may seem painful or loose. The gastrointestinal symptoms usually resolve in a couple days; however neurological symptoms may last for months or years. Symptoms may come back after ingesting certain foods and drinks; alcohol, caffeine, nuts and fish. There are no laboratory tests to diagnose this disease and it’s based on clinical symptoms and a history ofeating an offending fish. Some studies have shown that IV mannitol is effective in providing relief and recovery if taken within the first 72 hours of intoxication. Other than that most treatment is for the various symptoms the person may have. So how can you prevent getting this potentially serious toxin? Prevention can be difficult since the toxin in the fish cannot be killed by cooking and there is no offensive odor or appearance to the fish. So the only way to truly try to prevent this intoxication is to avoid eating large reef fish or getting your fish through a reputable supplier.